High quality soccer socks are essential to ensuring you stay comfortable while playing your best. The right socks will keep your feet securely in place while making sure they stay cool and dry when the action heats up. Available in a wide variety of styles, colors and sizes, soccerloco carries only the best soccer socks from your favorite brands including Nike, adidas, Puma, Diadora, and more. 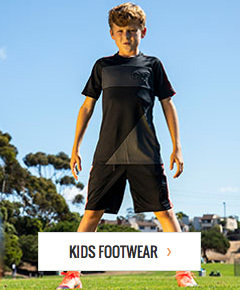 Next time you need new socks for men, women or youth, shop soccerloco to save money while shopping with our great prices and low cost flat rate shipping. Shop soccerloco today for a wide selection of soccer socks for teams and individual players and buy with the confidence of no-hassle returns.